The weather outside is showing no sign of changing anytime soon, but that doesn’t mean I can’t bring a little taste of paradise inside my house. 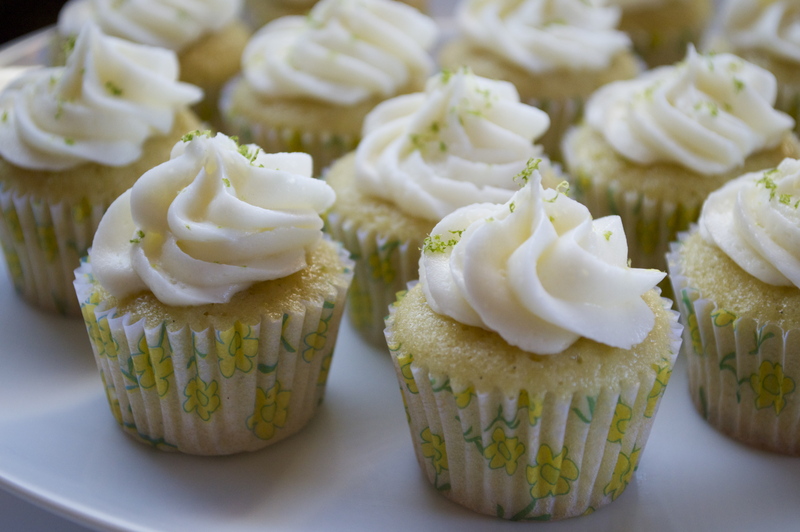 Turn the kitchen into a tropical getaway with these lime and coconut mini cupcakes. These compact confections are bursting with bright lime flavor and a hint of coconut that will have your taste buds singing. And probably you too (that lime and coconut song is strangely catchy). Start by preheating the oven to 325°F and lining mini cupcake tins. 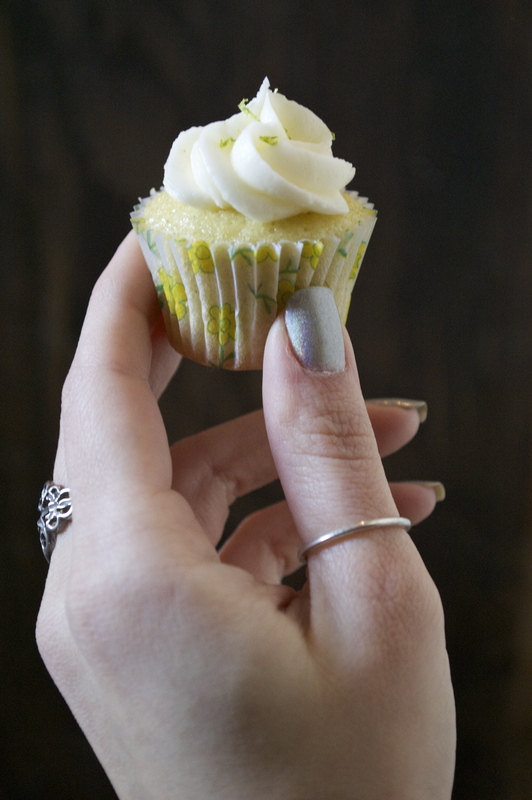 I love making small cupcakes because they are the perfect two-bite portion, but this recipe could easily be adapted for full-size cupcakes. 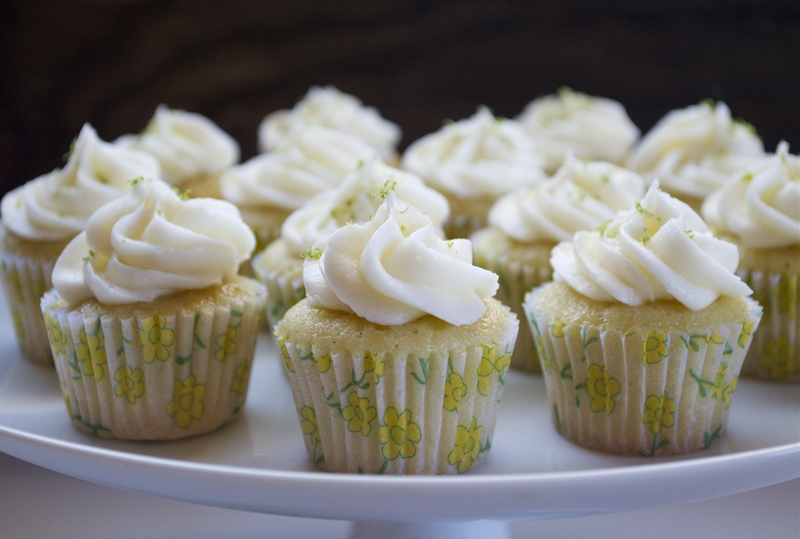 If you decide to make normal cupcakes, this recipe will yield about two dozen. Next, in a small bowl combine the lime zest and sugar, then place the sugar mixture and butter in the bowl of an electric mixer. Beat on high speed until whipped and creamy. Turn the mixer to low speed, and add the eggs individually. Add the vanilla and mix until just combined. In a separate bowl, whisk together the flour, baking powder, baking soda, and salt. Then alternate adding the dry mixture and coconut milk to the wet mixture, beginning and ending with the dry mixture. Fill the cupcake liners about 3/4 full, and bake them for 15 minutes or until a toothpick comes out cleanly. If you’re making full-size cupcakes, baking time will probably be between 18 and 22 minutes. To make the frosting, beat the butter, coconut oil, and shortening on high speed until well combined and creamy, about two minutes. Begin adding the sugar in portions, beating well after each addition. You may not use all the sugar depending on how thick or thin you prefer your frosting. Lastly, add the lime juice and beat until smooth. Frosting tastes good no matter how you get it onto a cupcake, but for a more polished look consider using a piping bag and a decorating tip. I used a closed star tip (Ateco 844). 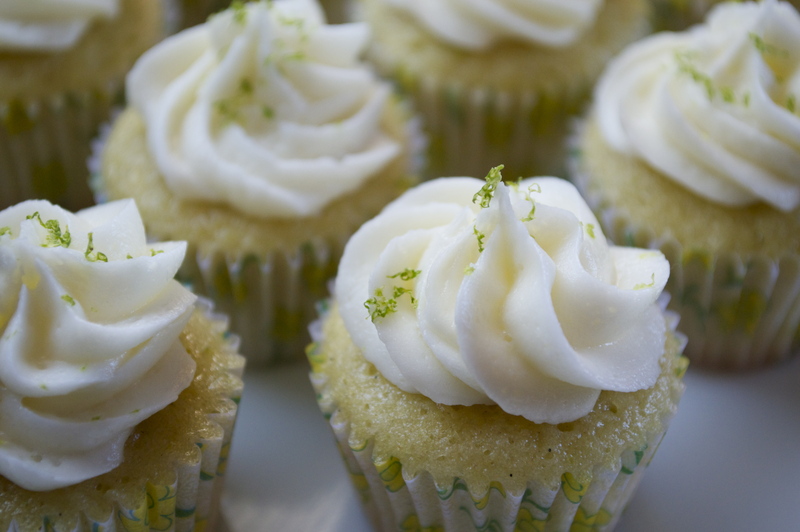 Lastly, for a little color, sprinkle the cupcakes with the remaining lime zest. It’s the perfect delicate decoration for this petite treat! Close your eyes, take a bite, and let these mini cupcakes take you on a mini vacation from this snowy day.